Julia Child’s is a lady we agree with! Win Tickets to the BBC Good Food Show for a day that revolves around sharing an celebrating our love for food. This is the ultimate day out for food lovers. Enter now to Win Tickets to the BBC Good Food Show! We have 5 pairs of tickets to give away to the London show taking place at London Olympia, Nov 11-13 2016. To enter simply send your answer to the following question and email it to win@ilovemarkets.co.uk with the subject line “BBC Food Show”. Please include your name and address. Who was crowned the winner of The Great British Bake Off 2016? Winner will be chosen at random and announced on November 7 and will be sent out by post. By entering the ILM competition you agree to receive news and promotions from us. We do not pass you info on to any third parties. 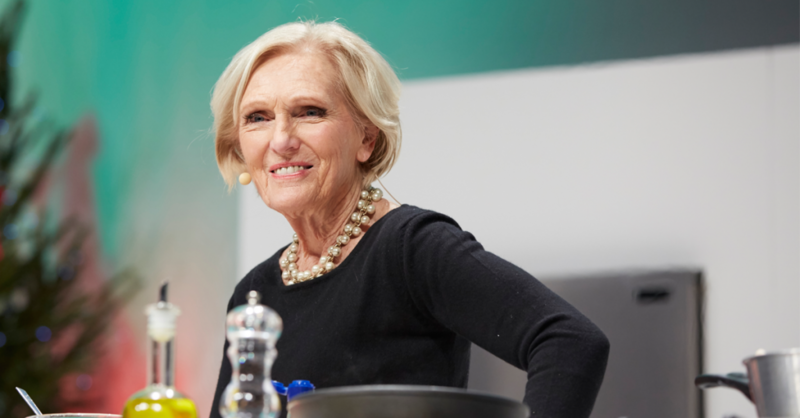 Discover the capital’s tastiest day out as the BBC Good Food Show returns to Olympia London. See Michelin masters including Tom Kerridge, Paul Hollywood, Michel Roux Jr and Gizzi Erskine cooking live in the Supertheatre, as well as a host of other top chefs and experts. Hear more from your culinary heroes in live interviews on the BBC Good Food Stage, and get your cook books signed by the authors themselves in book signing sessions. Discover London’s finest flavours with pop-up restaurants and street food vendors, plus shop from hundreds of speciality and artisan producers. New for 2016, the BBC Good Food Stage, features a combination of celebrity interviews and recipe demos. Including an audience with Paul Hollywood and Lakeland’s Clean Eating Masterclass with Stacie Stewart. Not only can you shop for all the latest cook books at the Books stand, but you can also get your copy signed by the authors themselves. Discover how to pair delicious wines from across the globe with your favourite Lindt Excellence chocolate, guided by Lindt Master Chocolatier Stefan Bruderer and Wine Expert Tom Forrest. Plus, explore and sample their latest flavour combinations on their stand too.